Learning to use a mouth call can be a very difficult and frustrating experience for most. To use it properly it may take years to hone your skills to properly emulate a wild turkey. Your first mouth call should be a good quality single or double reed call. These calls are typically the easiest for beginners to learn to use and can produce a variety of sounds. Place the call into your mouth with the open-end facing out and gently push up it up into the roof of your mouth with your tongue. If the call is too wide, you can trim some of the tape to better fit your mouth. Avoid bending the frame because it will loosen the reed(s) and affect the quality of the sound. The manufacturer presets the rubber or latex reeds for the proper tension for ease of use and sound quality. The first turkey call that you should learn is the basic Yelp. With the call held with your tongue against the roof of your mouth, exhale the letter “H” and force the air between your tongue and the call. If air is escaping over the call between the call and the roof of your mouth, you are doing it incorrectly. The harder you press your tongue against the reed, the higher the tones that you will produce. Alternatively, the less pressure that you place on the reed, the lower the tones produced. 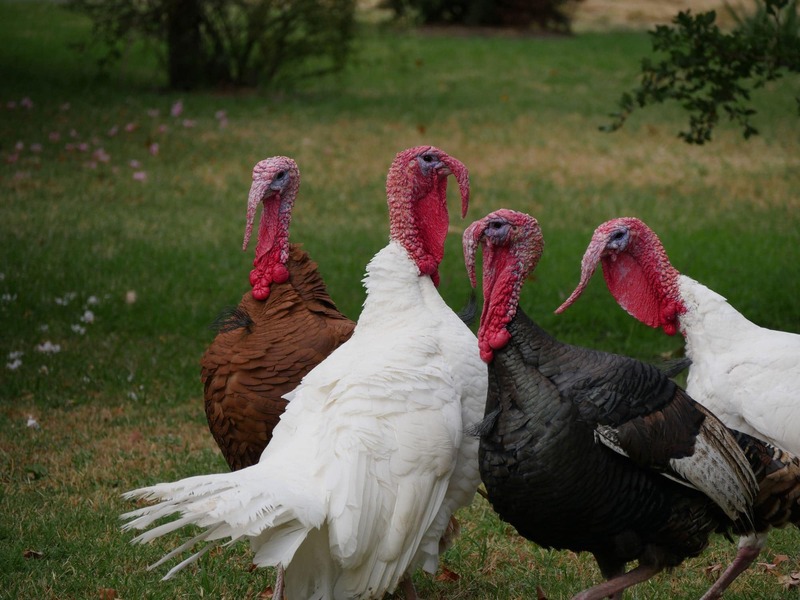 To perform the turkey yelp, practice controlling the sound by using your tongue to place pressure on the reed(s). At first, exaggerate the length of the high tone and maintain for approximately 2 seconds. Then slightly open your mouth or remove your tongue from the reed to produce the low tone. As soon as you can do this easily, you can then speed up your calls to accurately produce that of a big raspy boss hen. The high and low tone will almost blend together to make the yelp sound. The yelp should be executed as a rhythmic, 5 to 15 note series. Mix-up your yelping calls by varying the volume, skipping beats, you’ll be sure to prosper using this very important call. The yelp is used by gobblers and hens, hens use this call to communicate with a gobbler that she is ready for mating. A multipurpose call, the yelp should be perfected and used in both the spring and the fall seasons. To perform the Turkey’s Cluck call, say the word “putt” with your teeth clinched as you exhale. A cluck call typically consists or 2 or three notes. Turkey use this to communicate and gain the attention of other birds. This is a very effective call when used with spring gobbler to gain his attention and lure him within range. To perform the KeeKee Run Turkey Call, make 2-4 of the high-tone calls that you previously learned, followed by 2 or 3 yelps (high/low tones learned earlier). The keekee run is primarily used for fall turkey hunting, but is often effective for spring as well. The kee kee is a lost locator used by young birds. This call is popular by fall hunters with hopes of bringing in a flock attempting to regroup its flock. This call shouldn’t be limited to the fall and can be successful in the spring season as well. To perform the Purr, position your tongue tightly against the reed. While exhaling, flutter your lips rapidly to reproduce the Turkey’s purr. This is a very difficult call for most hunters, practice often throughout the year and don’t wait until the day before the season opener. The purr is used by the turkey when content foraging in the fields and forest, or the purr can be used when excited. The excited purr when used in combination with a cluck can lure a mature gobbler in looking for a hot hen. To perform the Cutt, make a series of fast and somewhat erratic single clucks. The cutt is generally loud and aggressive lasting from 5 to 15 seconds in length. Cutting is typically used by a lone or lost bird looking for companionship. This call can be used by hens when ready to mate and is very effective in the spring. I have briefly discussed the “bread and butter” range of calls that with practice should improve your chances of bagging a bird this season. The key to successful turkey calling is to practice on a regular basis. Hone your skills so that you emulate a turkey. Mix up your calls and learn the communications of your quarry. Once you have learned to use a single or double reed call, you can begin experimenting with other diaphragm turkey calls that have multiple reeds for a deep and raspy boss-hen sound. Again, it will take a lot of patience and practice, and years to become proficient using diaphragm turkey calls. There is much more than just being able to produce the sound of a wild turkey. It is just as important to know when and where to use a specific call to fool a Spring Gobbler or old Boss-hen. Remember – Never Stalk A Wild Turkey!